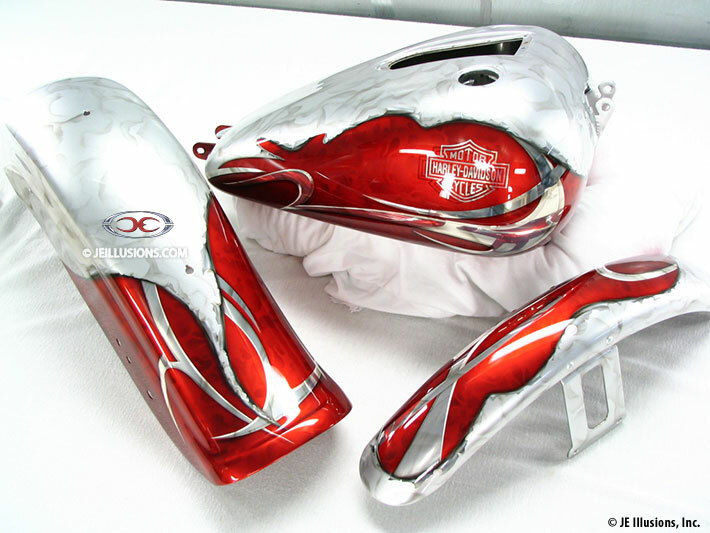 This Harley-Davidson Deuce paint set features a two-tone theme of red kandy and metallic silver. 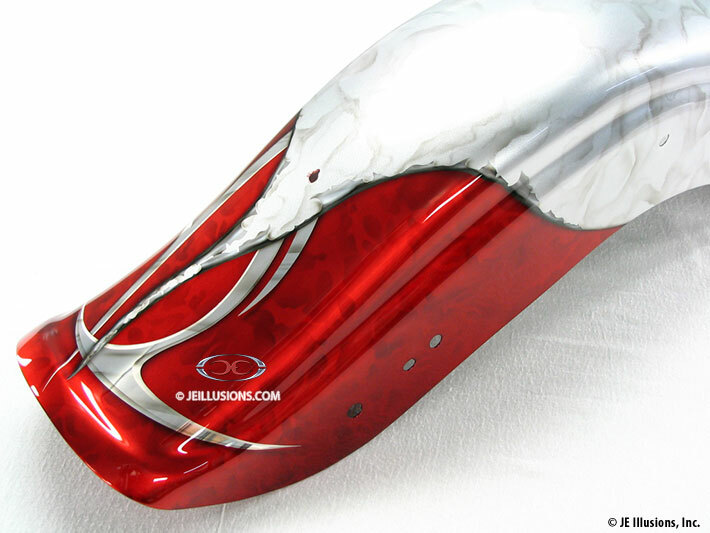 The ripped metal effect between the two color sections gives an impression of layering. 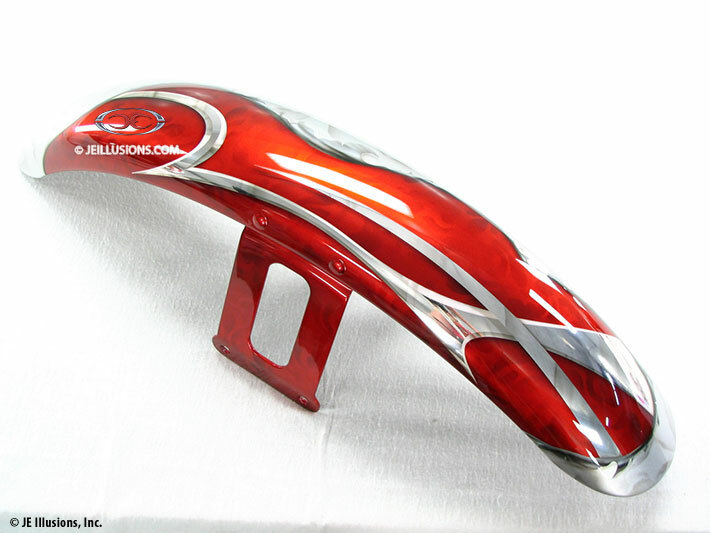 The metallic blades are beveled for an ultra-realistic 3d appearance. 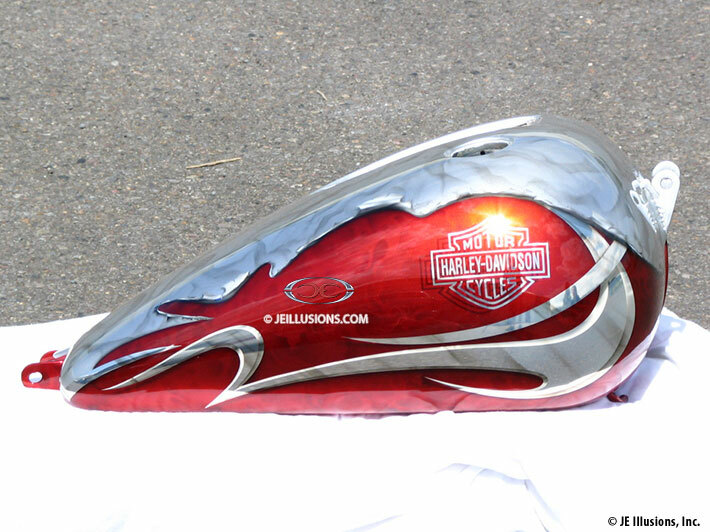 The Harley-Davidson logo is shadowed to give the illusion that it is floating above the tank.